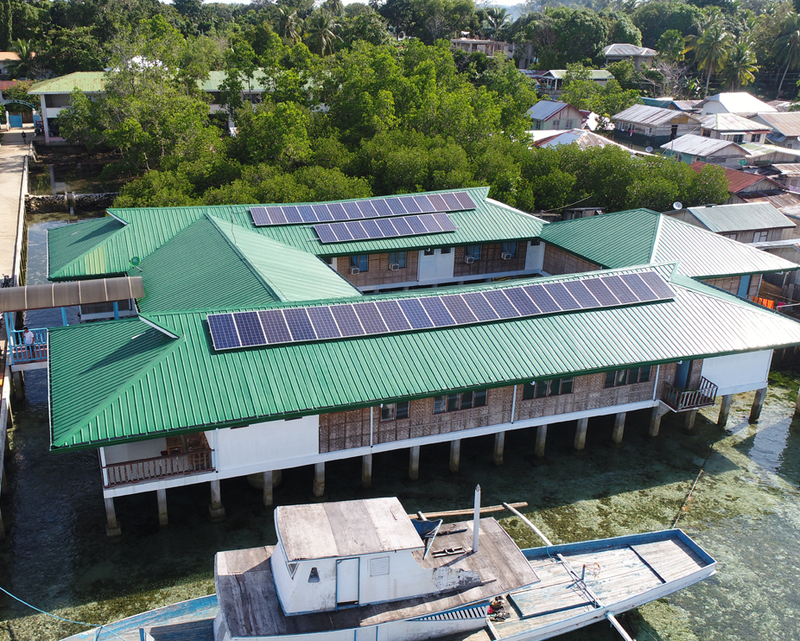 Far from commercial grids and power lines, the island of Tawi-Tawi sits at the southernmost part of the Philippines. In this remote province, only 30% of the population has access to electricity, which is predominantly sourced from diesel generators. Due to the unstable electricity supply, the island experiences rolling blackouts that stunt the progress and slow down the delivery of essential services, such as health and education. For the Mindanao State University (MSU) in Bongao, Tawi-Tawi—whose vision is to be a center of excellence in Fisheries, Marine and Maritime Science and Engineering, and Oceanography— this means that the quality of their educational program is undermined and that the productivity of their students is often disrupted. Working with MSU, AC Energy has partnered with Kennedy Renewable + Technology Corp. to address the power shortage and provide the school with solar panels. AC Energy, whose recent focus in the development of renewable energy, provided technical and financial support, with Kennedy acting as the main developer and engineering, procurement and construction (EPC) contractor for the project. Seven campus buildings were outfitted with solar panels, hybrid inverters and batteries, providing not only 141kW capacity to the universit but also energy storage capability. The system works in tandem with the local power supply thereby reducing the impact of electrical disruptions and LOWERING the school’s cost of electricity. “The successful launch of this project highlights the reality of conglomerates successfully working with small companies that labor under challenging circumstances to promote sustainable development. This installation is a living, although modest testament of how organizations like AC Energy and Kennedy Renewable + Technology Corp. solve real problems of power shortages that affect critical institutions in remote areas. Many more projects like this will help advance the cause of energy derived from sources that are replenished by nature.” Said Dr. Philip Ella Juico, Chairman of Kennedy Renewable + Technology Corp.